HURRY! This home all on one level has it all! Granite & stainless steel in the kitchen + pantry! Crown molding in the Living Rm! A jetted tub in the master makes for a relaxing time! One of the bedrooms could be used as an office. A covered patio in back plus a grape arbor to relax in during the summer. And finally, a fabulous 16 x 12 shop with power, set firmly on a concrete slab. You don’t want to miss this custom home! HURRY! 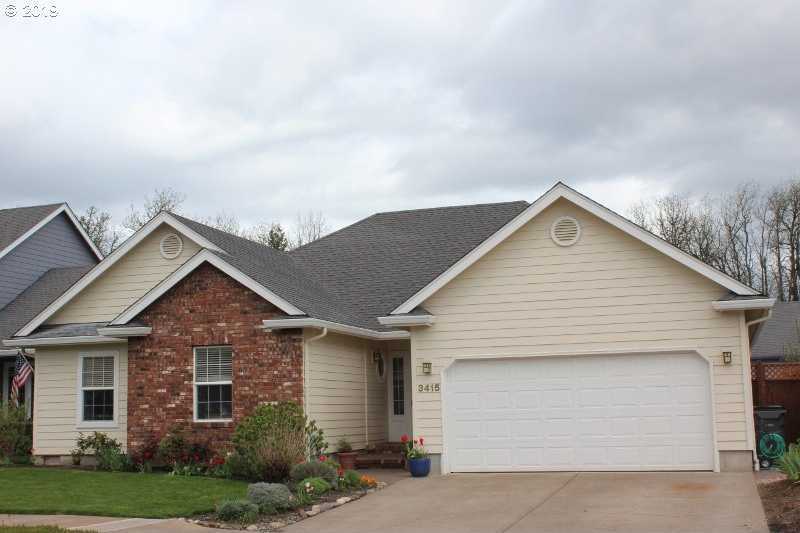 Please, send me more information on this property: MLS# 19668412 – $365,000 – 3415 Merryvale Rd, Eugene, OR 97404. I would like to schedule a private showing for this property: MLS# 19668412 – $365,000 – 3415 Merryvale Rd, Eugene, OR 97404.